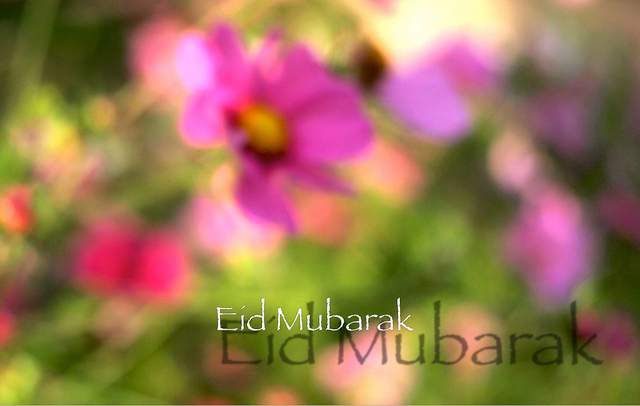 Eid Mubarak means "blessed festival" and is a traditional Muslim greeting reserved for Eid al-Adha and Eid al-Fitr. Today is Eid al-Adha, or “Festival of Sacrifice,” a day that commemorates Ibrahim’s willingness to sacrifice his son at Allah’s command. While I am not Muslim, when I saw what the meaning of the holiday was, it got me thinking — What exactly does it mean to sacrifice? When I look back at my life and think about times I’ve used the term “sacrifice,” I wonder if I used it melodramatically, or if I really did believe I sacrificed something. For example, I know I’ve told several boyfriends, including my current one, that I sacrificed a lot for them. But what I really meant was I stopped doing something that I enjoyed to make you feel comfortable, even though I now resent you for it. In retrospect, it wasn’t really fair to throw that word at them in the hopes of getting my way in the end. But what have I really sacrificed? In my privileged life, what I have really given up that I couldn’t do without? The answer is… nothing. I think all too often I make the mistake of confusing sacrifice with compromise (and sometimes, especially when you’re in a relationship, they feel like the same thing.) But if I were to truly sacrifice something, what would it be? And what would be my reason? This, of course, is entirely different from offering a human or animal sacrifice to please a deity, such as in the story of Ibrahim. But at the same time, I’m sure plenty of parents can say they have sacrificed for their children, so this definition might not be the best in those circumstances. So have I made sacrifices? Honestly, I can’t say that I have. Do I think I have it in me to sacrifice something I really value? At this point in my life, I can’t say that I do, but maybe that will change when I’m a bit older and have a family and career. OK, so what am I getting at? I say all of this to come to this conclusion: While we may give up or compromise certain things (like time with friends, or hours spent at work), we are not genuinely sacrificing them. We (myself included) need to stop using this term as a weapon or a shield. We need to stop and think of what it really means to sacrifice — would we do the same if we were in Ibrahim’s position? If not, maybe we need to rethink what the term really means, or maybe even rethink our priorities and what we really value in life. Tagged allah, eid al-adha, eid mubarak, ibrahim, islam, sacrifice.